If you’re like many women, you suffer from the same unwanted facial hair as many of your friends. We pluck, shave, ignore, but it never goes away. Instead of dealing with it every morning as you’re putting on makeup, why not face the issue and look to get rid of that unwanted hair once and for all. 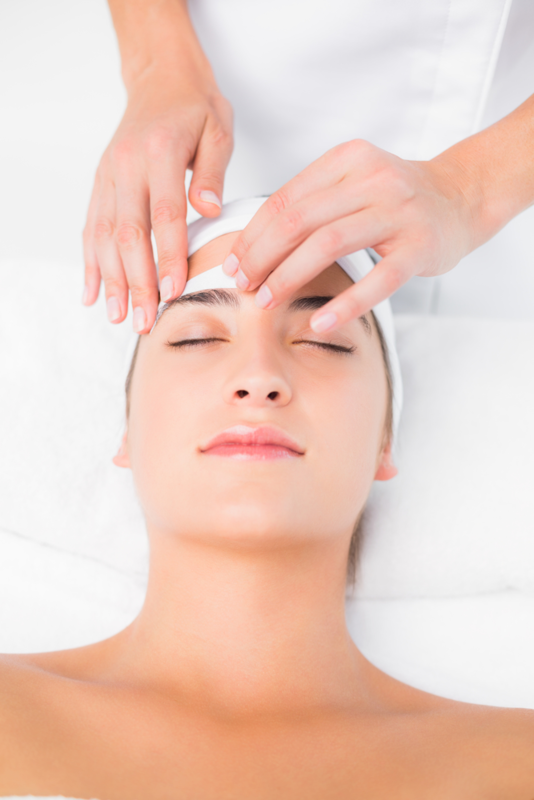 Facial waxing is the perfect solution to ensure you wake up to smooth skin every day. If you’ve tried all the home options that promise easy, fast hair removal, you know that they just don’t work. Shaving produces dark, visible stubble as soon as the very next day. Not to mention the nicks and cuts that could happen. Shaving cuts hair at an angle right at the skin’s surface making regrowth more visible and darker. Removal creams are another option to try at home. However, many over-the-counter removal creams tend to irritate your skin leaving your skin red and uncomfortable. When you’re desperate, you may have even tried plucking. May I just say, “ouch”! Although plucking tends to do a better job, it’s time-consuming and painful. It can also leave spots in your brows that look too thin by plucking too much of the wrong area. This is why facial waxing at Amanda Maddox Salon is such a great option! Waxing removes hair at the root, taking longer for the hair to grow back and no darkening of the skin. No stubble either as regrowth can take up to three weeks to grow back, and no discomfort. What more could you ask for! Waxing at a professional salon is relatively quick, can be done with your regular hair appointment, and is virtually painless. Areas of the face that need shaping, such as the eyebrows, can be precisely shaped by our expert technicians since hair is only removed on the wax-treated areas. Another great benefit is that waxing also exfoliates your skin, giving you the advantage of skin rejuvenation by removing pollutants and dead skin cells that make your skin look dull and aged. Give facial waxing a try today and leave our salon with unwanted hair gone and your skin looking brighter and healthier. Make an appointment today at Amanda Maddox Salon. You can find us at 129 S. Forest Park Blvd, Knoxville, TN, or call 865-673-0022. Easily keep up on regular waxing by using our online booking tool, or try our mobile app, available for a free download at the App Store, Google Play, and Amazon.